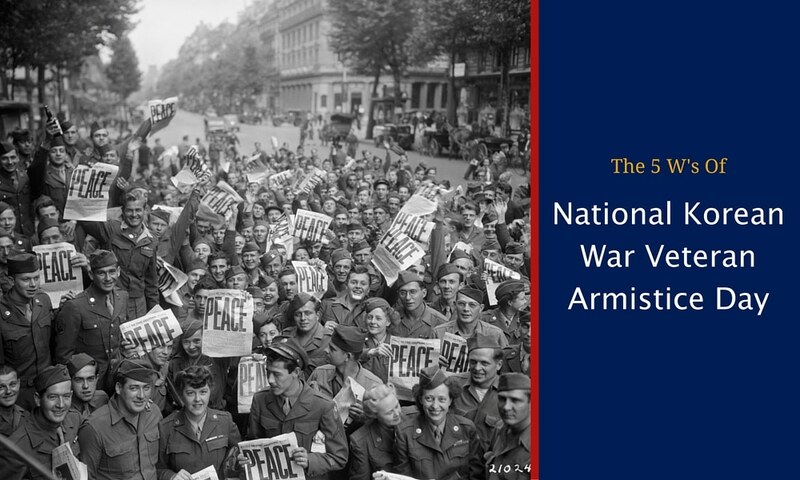 Today, July 27th, is National Korean War Veteran Armistice Day (NKWVA Day). It is a day to remember those who gave the ultimate sacrifice over three long years of war next to soldiers they had never met. It is also a day to “reaffirm our commitment to the security of the Republic of Korea and the values that unite our nations.” To get a better understanding of this day, here are the five W’s – Who, What, When Where and Why – of NKWVA Day and just why it is so important. As we have explained, NKWVA Day is a day to remember those who fought against Communism and gave their lives to preserve the security of the Republic of Korea. Today is also a time for the US, as President Obama stated last year, to reaffirm the US’s commitment to providing that security to the Republic of Korea. The Korean War took place from June 25, 1950 to July 27, 1953. It was a long, grueling war fought between the United Nations (the US being the leading force), who came to the aid of South Korea, and the communist North Korea. The war arose from the division of Korea at the end of World War II, along with global tensions of the Cold War that developed immediately afterwards. The war took place in Korea, which at that time had recently divided to become two different countries.